Vincent Van Gogh's career as a painter began when he was 27 years old and lasted a brief ten years, ending with his suicide. His works are, perhaps, better known than those of any other painter and yet during his lifetime he was virtually unknown. He suffered from mental illness. His mental illness drove his moods from the highest pitches of enthusiasm and creativity -- which he called the "rage of work" to periods of discouragement which he called his "fear and horror of madness." 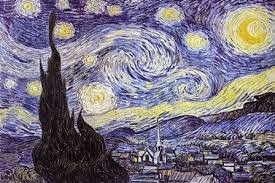 Van Gogh produced over 2,000 pieces of art. Do you know how many of those pieces he sold during his lifetime? One. This brother Theo had to beg somebody to buy it. Vincent Van Gogh's attempts at romantic love were rebuffed which drove him further into isolation and internal anguish. He often suffered seizures, hallucinations and delirium for days or weeks at a time. On one occasion he cut off part of his ear. Van Gogh captured the suffering of mental illness in glittering, agitated canvases. His internal turbulence and anguish is clearly evident in most of his paintings, which set the stage for the direction of a new style of painting we call Expressionism. 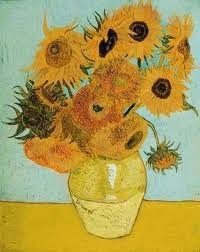 Vincent's emotional turmoil did, however, bear artistic fruit in the form of a remarkable gift of perception -- seeing powerfully what others did not observe at all. He projected onto the canvas what he experienced internally. Van Gogh wrote more than 800 letters. If you haven't read his collected correspondence, I would recommend it. Not only is it a good autobiographical account of his life, it's great literature. Vincent lived in barren rooms of rural cottages and the wards of mental institutions. His loneliness and isolation were almost larger than his life. But that is not what most people remember about Vincent Van Gogh. When they think of him they are apt to think of "Starry Nights", "Cafe Terrace" or his stunning series of Sunflowers, just to mention a few. Van Gogh's last dark painting was entitled "Wheatfield With Crows". That's the field where he shot himself in July of 1890 at the age of thirty-seven. He died three days later. Vincent's sad last words summed up his life: "The sadness never goes away. I think I want to go home now." 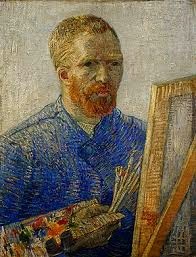 In one of his last letters to Theo, Van Gogh had written, "I feel ... a failure. That's it as far as I'm concerned ... I feel that this is the destiny that I accept, that will never change." He was not a failure. Look what he left for humanity! Have we learned so little from his tragic but prolific life? Imagine if he lived in 21st Century Canada. The Supreme Court has ruled that someone like Vincent Van Gogh should have physician assisted suicide available because of "psychological pain." Christians must stand against such a world! Our Lord's love embraced the mentally ill. We are called to follow His example. 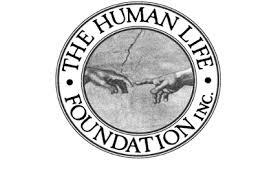 Be life affirming not life denying. Everyone has something to bring to the table of human experience. My wife's grandmother suffered from schizophrenia. Forty years after Van Gogh's death she was institutionalized in a mental hospital at the age of 37 years and remain there until her death in 1983. John Rowan Wilson, "The Mind" (New York, Life Science Library, 1964) p.146.